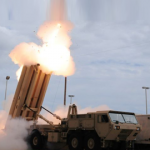 Lockheed Martin (NYSE: LMT) has landed a $273.5 million sole-source contract from the Missile Defense Agency to produce additional interceptors for the agency’s anti-ballistic missile system. The Defense Department said Tuesday the contract covers the lot 9 production of interceptors, one-shot devices and associated production support services for the Terminal High Altitude Area Defense system. THAAD is a key component of the Ballistic Missile Defense System and designed to take down ballistic missile threats inside or outside the atmosphere. The platform consists of fire control, interceptors, launcher and radar systems that support deployments via air, land and sea transport. MDA obligated $81.5 million in fiscal 2017 procurement funds at the time of award. Lockheed’s missiles and fire control business will perform contract work in Alabama, Arkansas and Texas through March 31, 2020.